Jessica Rabbit, eat your heart out. 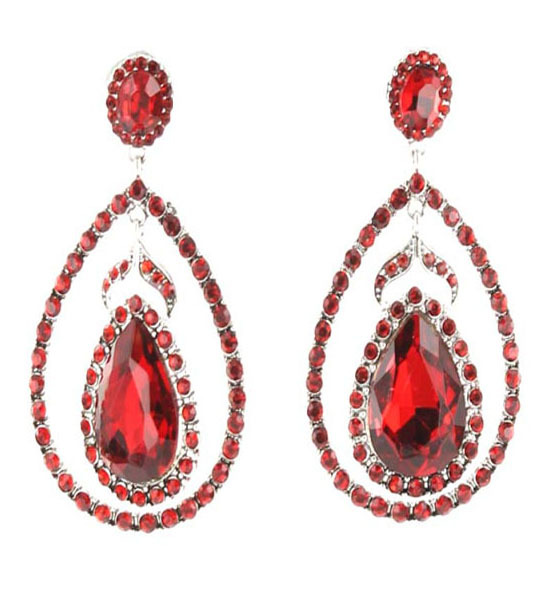 The Barbie drop earrings feature a focal rhinestone suspended from a teardrop hoop embedded with brilliant crystals, all in vamp ruby red. Set on a rhinestone stud in silver metal casting. A red carpet winner. Be seen wearing this fabulous fashion jewellery item, compliments are sure to follow!